A few weeks ago, I had a chance to attend the meeting sponsored by the Control System Cyber Security Association International (CS2AI), They are working with experts like Dr. Jun Dai (professor at Sacramento State) and Martin Noufer (McAfee, Intel) to develop emphasize and develop security expertise. The session started with an excellent overview of IoT security by Rahner James, who works with cyber-security solutions firm GRIMM and teaches a computer forensics course locally. His excellent presentation (which can be found here), his knowledge of industry war stories and his collection of fascinating little testing "devices" gave us insight into the range of possible attacks (hardware, software, social) and possible goals (theft, disruption). The large number of IoT devices and the low profit margins mean a high probability that there are a substantial number of devices on the net that are easily hackable. One of the key points that was raised during the discussion that followed is how little help is given to software engineers to understand and defend against security issues in IoT devices. Market pressures demand quick deliver of functional (but not necessarily secure) hardware. Open source provides access to amazing security primitives, but also gives access to catastrophic security holes. The real answer is education, one of CS2AI's goals. 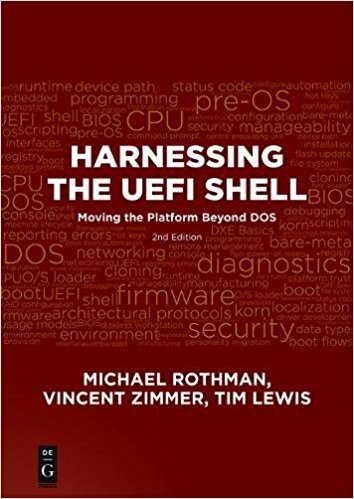 Education is certainly needed when it comes to UEFI and security. 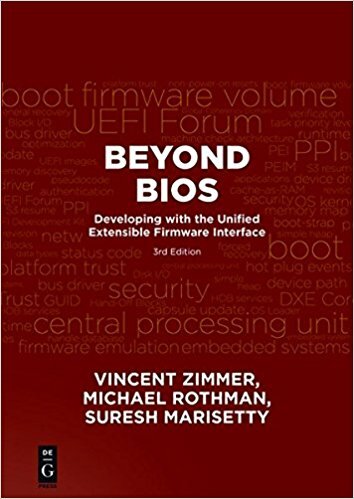 UEFI isn't for everybody in the IoT space, because of RAM and ROM size, but it does have a thorough security story with Secure Boot, Capsule Update and even User Identity. Working with well-designed hardware, UEFI helps guard the integrity of the flash device in which the firmware resides and the memory in which it executes. My colleague, David Chen, gave an excellent overview of some of these topics at the recent UEFI Plug-Fest in Nanjing. Others talked about SMM security, ARM security and flash update security. The presentation we saw claimed that in 2020 there will be 50 billion IoT devices. Security for these devices is become a board-of-directors conversation topic: are our devices secure? What will you say when they ask you? What will you do when you're wrong? See Matthew Garrett's summary here. See a quick summary about AMD's stuff here.